For our last week of "summer school," I decided to focus on the Scientific Method and scientists. Our next school year is going to involve a lot of science, so I wanted to spend a week exploring the bigger picture of science. We read the book "What is a Scientist?" and learned that we can be scientists too. Then, we went through a basic scientific process with a bar of Ivory soap and the microwave. 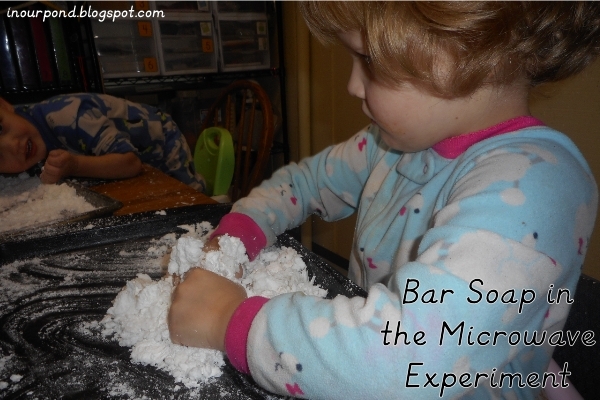 To our amazement, the bar of soap blew up in the microwave like a marshmallow and became a snow-like consistency as we played with it. Pretty exciting! 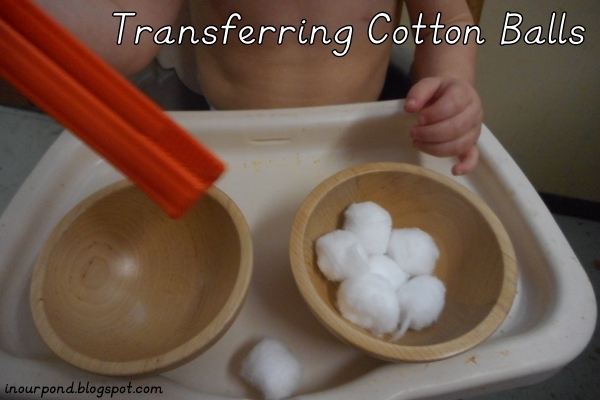 Tadpole practiced using his science tools and transferred cotton balls from one bowl to another. He isn't quite able to use them consistently, but he was enjoying experimenting with how they work.